Patented Fusion Technology moves weight away from the Centre of Gravity to increased horizontal and vertical stability. Carbon Composite body creates discretionary mass that is distributed to the extreme perimeter, resulting in increased stability and longer, straighter drives. The design allows positioning of discretionary weight to the extreme corners of the clubhead, raising the MOI for unparalleled resistance to twisting both horizontally and vertically. The Callaway FT-I driver represents a quantum leap in driver design. Excellent club the square head takes some getting used to but performs very well. 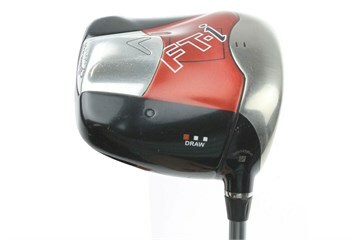 The drives are much straighter and this has given me a lot of confidence to free up my swing. Not as long drives as my previous club but more than made up for in hitting more fairways. Bought this to try and get God of my fade. Helps a little and I am getting more run on the ball.